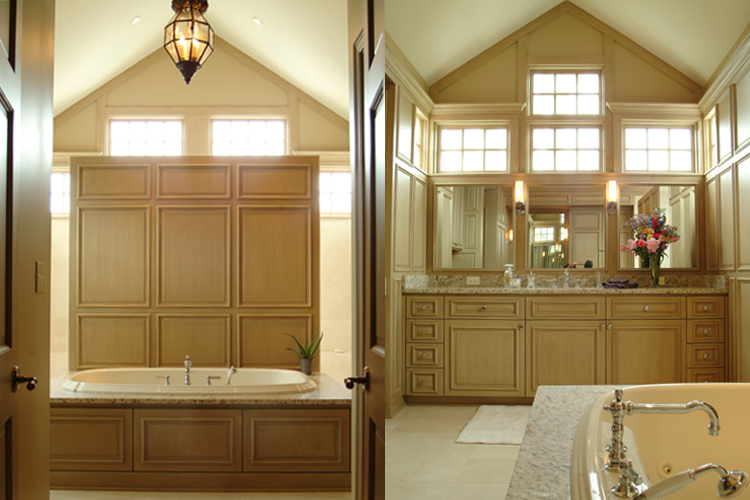 Over the last 25 years Scovell Remodeling has completed hundreds of kitchen and bath remodels. Though we frequently serve in the capacity of general contractor on any facet of a home remodel – from top to bottom, attics to basements – our real bread and butter is kitchens and baths. These two rooms are not only key determining factors when clients go house-hunting, but kitchen and bath remodels give homeowners the highest return on their investment. Not to mention it just happens to be where you spend the majority of your time! Remodeling a client’s kitchen is one of the most thrilling projects we do at Scovell Remodeling. Kitchens serve such a utilitarian, aesthetic and social purpose that they quickly become deeply personal, utterly unique and entirely rewarding. No where else in your house do you have as many choices as you do in the kitchen. 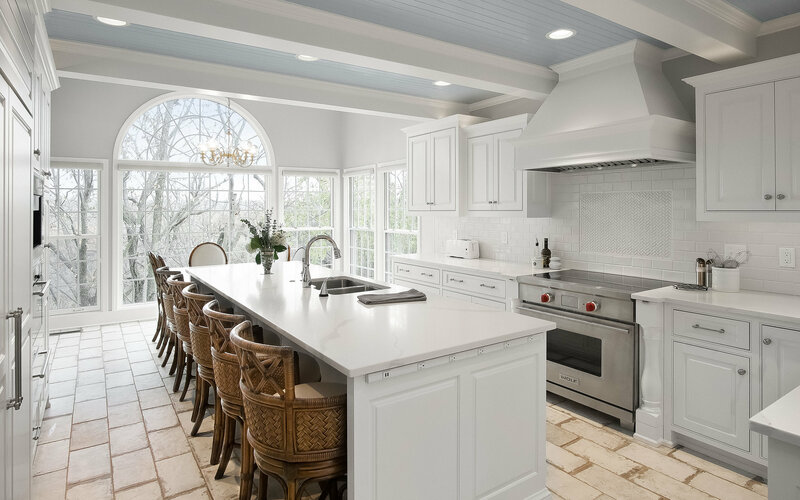 From cabinetry and countertops, paint colors and backsplash, to appliances and plumbing or light fixtures, the kitchen has more layers than can be summed up in a quick paragraph. That’s why our highly trained team of sales and project managers walk you through every step of your remodel. Scovell Remodeling believes in the necessity of a strong partnership between client and company and we pair you with a manager for the duration of your project who we believe will best guide you toward the kitchen of your “Pinterest” dreams! Close to half of our most successful kitchen remodels have been the direct result of a collaboration with a client’s personal architect. We love partnering with different designers and architects in Kansas City and across the country to bring your ideas to life, and are more than happy to step into the remodeling picture once plans have been drawn. Many of our other remodels, however, begin with a simple phone call to our office from an anxious prospective client starting out at square one. If you embark upon this remodeling journey with no plans, just ideas, our in-house designer can transfer your ideas and dreams to paper creating a plan that you can understand and that we can build from. As part of this optional design package, Scovell Remodeling will measure your space, convert the measurements to an ‘as-built’ drawing on our in-house CAD system, then design and present you with various plans for reconstructing your kitchen. Some of our most successful projects have been the result of this approach. From simple conversations with the homeowner about their cooking habits, desired design aesthetic and overall kitchen goals, to a Scovell Remodeling designed personalized layout, our design package gives you everything you need to begin visualizing your project. If a client is staying within the footprint of their existing kitchen and not making major architectural modifications, this design package is absolutely the way to go to begin getting a quality kitchen renovation underway. We will always give you our honest opinion as to whether your project merits the high skill level of an architect – in which case we can recommend several – or whether we can handle the project in-office. No matter how extensive or budget-conscious your kitchen ideas might be, Scovell Remodeling is excited to walk the road alongside you. If you are evenly remotely considering a kitchen makeover, you must check out our kitchen portfolio! We have everything from traditional designs to modern to transitional to…you name it! We’ve transformed kitchens of all shapes and sizes! Bathrooms can be one of those sneaky projects. You think they’re bound to be simple and inexpensive. But soon you discover heated floors and realize that might be nice, or see a cool shower door or maybe a clawfoot tub! Marble Backsplash? Steam shower or towel warmers? It goes on and on. The add-ons are tempting. And for good reason. They take a bathroom to a whole new level. But they also take your budget to a whole new level. Scovell Remodeling is anxious to help you evaluate how refined or sophisticated you wish your bathroom remodel to be based on your established budget. With 25 years of experience, we know a heck of a lot about plumbing and a heck of a lot about what works and what doesn’t plus how much it costs. We even have staff trained in creating bathrooms using Universal Design – a certification providing the opportunity to design for special needs, physical limitations and aging in place. Our process for remodeling bathrooms is a lot like our process for kitchens. Bathrooms come in all shapes and sizes. Scovell Remodeling has designed them out of nothing, enlarged some existing and stayed within original walls in others. We’ve partnered with clients to create luxurious spaces and similarly partnered with clients to remodel beautiful, practical yet affordable bathrooms that don’t break the bank. As with our kitchen services, we happily offer a design package for our bathroom renovations as well. 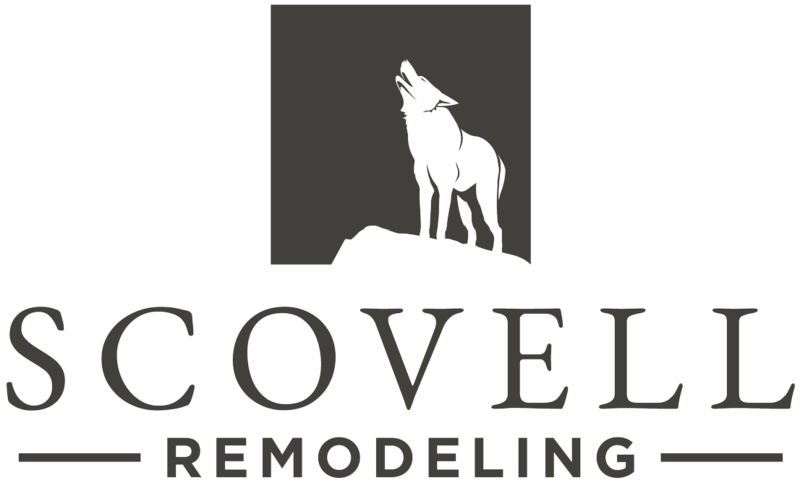 Scovell Remodeling can design in-house plans if you don’t already have them for the client anxious to get their remodel underway. Otherwise, like always, we will gladly partner with your outside architect or designer. Take a look at our extensive bathroom portfolio…from powder baths and family baths to award winning master suites and see if it doesn’t whet your appetite to embark upon your own bathroom redo! If you’d like to schedule an appointment for Jim Scovell or Kylie Brewer to see your space and begin a dialogue about remodeling, call our office at (816) 361-5959. We’re excited for future opportunities to help transform Kansas City homes!